In this fourth and final segment on our series on maritime security, let’s look at what is at the heart of safety at sea, namely managing one’s fears. And I continue to include the remarks of Gary Stubblefield, who shared a wealth of real life information on this and other security subjects with us. To begin with, understand that fear is nothing more than a state of mind. The brilliant General George Patton said that courage is fear holding on a minute longer. It is all in the mind, but that is not to say one can’t be physically prepared in addition to that mindset. “The most important thing to learn, from my experience in this business,” Gary said, “is to become a great seaman. Learn the elements, learn what your boat can do in what kind of sea conditions, learn how to handle things when the weather goes to pieces on you, learn how to dock properly, learn how to do things as a seaman should under the right conditions, and learn what not to do when the conditions deteriorate. Robin Knox-Johnson, one of the most accomplished sailors of all time. “That’s going to do far more to save your life than learning how to take deadly action against a pirate. Be prepared, so that the fear is managed. Use your fear to your advantage. It can keep you from panicking, to know when not to do something that might get you in trouble. Most of us will prudently avoid those areas that simply have too much risk. What is the point, after all? With even rudimentary route planning, the issue of piracy becomes more a matter of managing a fear of the unknown than confronting bad guys on the open ocean. Don’t stumble into stupid situations because you didn’t do your homework. There are many reputable resources to provide you with current information of where and where not to go. The unknown is at the core of this subject of safety at sea, whether it is weather, impending sea conditions, or the uncertainty of what it is like to travel by one’s own resources in a foreign land. The gun issue we discussed in the last post is contained within this uncertainty. Most of us go cruising for adventure and meeting new people and seeing new things. While many countries we might visit in our travels are not nearly as fortunate as the standard of living many of us enjoy at home, it’s still not difficult to avoid becoming a victim. And as so many cruisers consistently discover, the remote islands where the local people have so little is where you'll meet the happiest and most fulfilled people ever. You stay alert to the weather, you stay alert while running the boat. So now you should stay alert of everything else while cruising. A wonderful way to think of this is explained using color, and Gary sees it in terms of the Four Conditions of Color. Condition White is a state of oblivion, where the person is unaware of his or her surroundings, much like drivers staring at their smartphone, texting while driving. Or the millennials you see walking on the streets and in restaurants and malls, eyes glued to the small screen of their smartphones. Incidents happen to these people, yet they don’t have a clue why they are such easy victims. Condition Yellow is a heightened sense of awareness. Your antennae are up, you sense the threats around you, like walking into a strange bar. You are alert and aware of everything and everyone. And you are in control. It feels good to be in the moment, aware of your world. Condition Black is to be avoided, and that small boat approaching you does indeed have armed men aboard, your decision to take the shortest route proven to be very bad indeed. You’ve hit a submerged object and your boat is taking water on quicker than it can be pumped out. You have no time to think things through as it happens right before your eyes. Instinct and the level of your training take control. Good luck. Now that you can see things in terms of four colors, it is up to you to decide where you want to be, which is Condition Yellow. This is a state of awareness that takes it all in, a watchful eye kept on all the things both in and out of your control. Condition Yellow keeps you situationally aware to your surroundings and any potential threats, natural or otherwise. 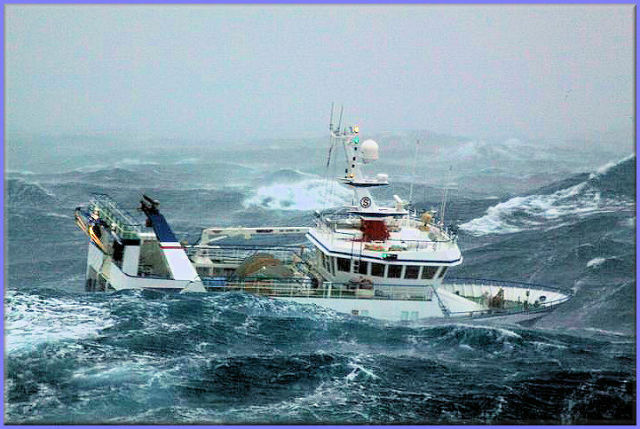 That state of mind is where Tony Fleming (of Fleming Yachts) and I agree. 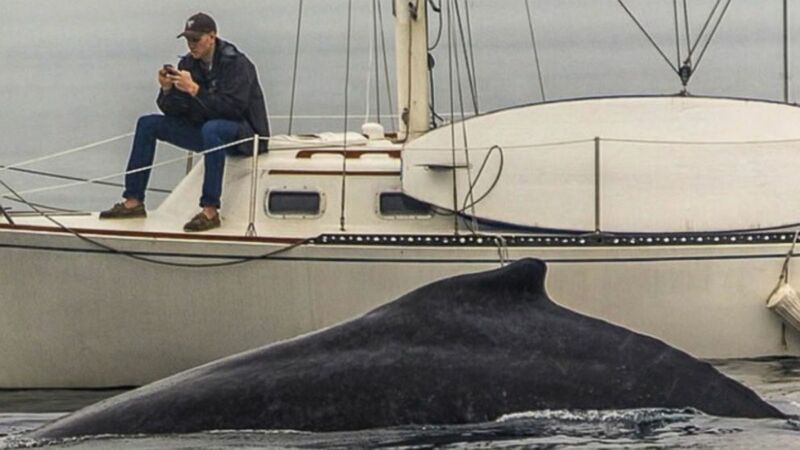 We never totally relax on a boat, we are aware of everything all the time. The engine room checks, the walk around the boat to check the rigging and chafe in lines, the odd angle of a hatch that indicates it was not properly dogged down, the navigator rechecking the boat’s position a third time. Maybe being OCD is not a bad thing, as I sometimes reach down to make sure my wallet is in my pocket while driving away from an event. Old habit, but one that has kept me safe. I never let my fuel go below half full, something about it makes me crazy. What if something happens and fuel is no longer available for a period of time, such as after a storm…or an EMP attack. On the water or on land, having a full tank means I can stay in control awhile longer, versus the poor souls who routinely drive around on fumes. I know lots of them, and they are not the survivor type. These people will wait until Condition Red before reacting and are already lost. The cracked hose that should have been replaced but “let’s wait until it fails” suddenly lets go, and coolant sprays steam around the engine room. And now you’ve run aground as you drifted out of the channel. Deck shoes left on deck are gone by some sticky fingers, or the dinghy vanishes without a trace, outboard and all. The hatch left open when you went ashore, not realizing a forecasted thunderstorm with heavy rain was on its way. We all know the things that happen when we don’t see or think of them before it’s too late. And when Condition Red becomes Condition Black, well, what is there to say? You could have stayed out of those cruising areas, it’s not like you didn’t know the risks. The weather indicated a named storm was headed your way and you decided to “outrun it.” Yeah, right. 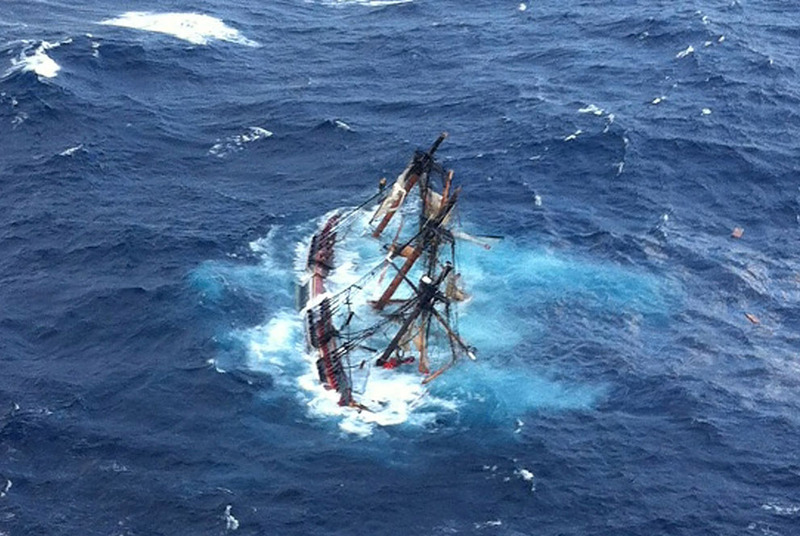 The captain who lost that beautiful replica ship of the HMS Bounty made a bunch of reckless decisions instead of staying focused in Condition Yellow and choosing the safety of his boat and crew over his “experience” to outrun the hurricane. There are many examples of such incorrect judgement, some putting themselves and others at risk when there was every opportunity to dial it back a notch, pull back the throttle, put another reef in the main and slow things down. The Bounty settling into the sea after the hurricane, sinking with the loss of two lives. It was ruled an avoidable situation due to bad judgement. Successful cruising is all about staying safe and being prepared for what's on the horizon. Safety at sea is a mindset, a skillset, and a conscious effort to only put the tools aboard you are reasonable comfortable with and not feed the fears of the unknown. Once you get underway and have put half the world under your keel, you will be able to tell the next newbie planning a cruise to chill out about sea monsters and other bad things and focus on being in the right place all the time. That’s the plan, with a Condition Yellow flag flying on your mental masthead all the time.